In this presentation, Dr. Hart will provide an overview of the various missense prediction algorithms, what they predict, and what biases they reflect. Using functional experimental data as a ground truth, he will describe how his team has 1) assessed algorithm performance using default thresholds, 2) improved the accuracy of existing models, and 3) is continuing to derive new methods with even higher accuracy. As a collaborative scientist in Mayo Clinic's Bioinformatics Core, Steven N. Hart, Ph.D., focuses his research on the application of next-generation DNA sequencing analysis in large-scale sequencing projects, including several whole-genome, -exome and targeted custom capture sequencing projects for inherited cancer predisposition. From 2015-2017 he was the Associate Director of Bioinformatics for the Clinical Genome Sequencing Laboratory, where he oversaw genomics data processing for clinical practice. Dr. Hart uses a variety of computational, functional, and population genetics methods to predict the functional impact of missense mutations in DNA repair genes. Ms. Pesaran was previously a clinical cancer genetic counselor for 8 years. She is currently the head of Ambry’s Variant Assessment Program, a multi-disciplinary team of scientists focused on complex variant assessment. She also leads our reclassification and family studies programs. 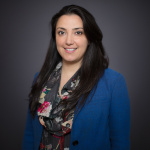 Ms. Pesaran’s current research interests include gene and disease specific classification nuances and the improvement of variant classification using novel methods.